Four years was all it took Invictus Yacht – which first appeared on the stage in November 2014 – to gain a leading role in the yachting world. This achievement is the result of the shape and lines of its models – thirteen to date, ranging in length between 19 and 37 feet. The shipyard’s strategic capacity to manage production on a semi-industrial scale allows Invictus to build approximately 300 units per year, all designed by Christian Grande. Today the thirteen models that make up the Invictus Yacht fleet are divided into two ranges, T and X, each with a specific set of customers. Both ranges share the high level of finishes and attention to detail – the ideal starting point for offering Invictus owners the best possible product. The Italian shipyard has raised the customisation possibilities to a higher level by creating the Atelier Invictus and offering its customers a network of specialised craftsmen and highly qualified suppliers. After the success of the GT320 – the most recent member of the family – Invictus is not stopping and is presenting the new CX270, which will make its world debut in September at the 2019 Cannes Yachting Festival. Furthermore, a new model which will complete the T range is being designed and will become the range’s new flagship. 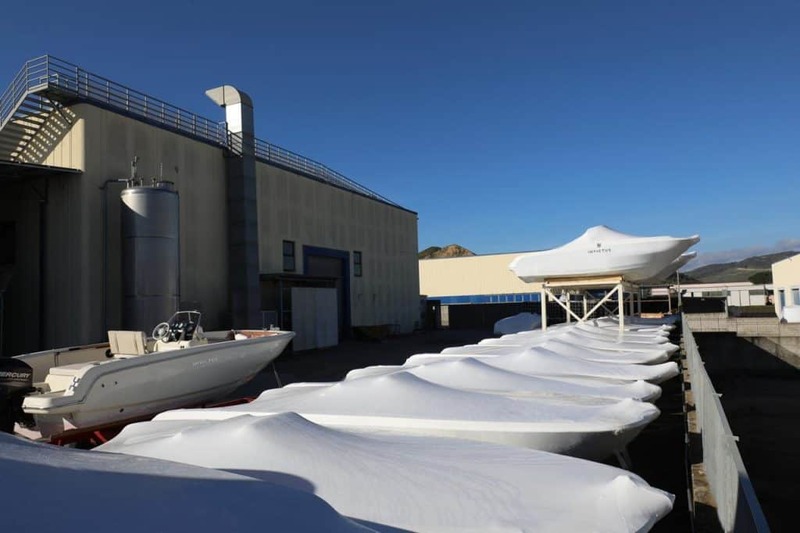 The Italian shipyard is also working to present an electric boat, which in the near future will be ideal solution for sailing on lakes, where strict pollution-prevention restrictions apply.